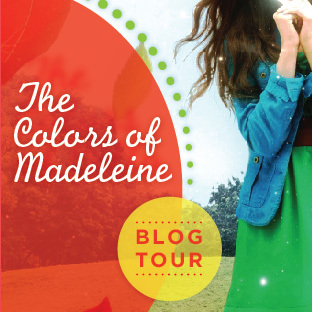 The Colors of Madeleine Blog Tour: Guest Post + Giveaway! Today, I'm delighted to host a stop on the Colors of Madeleine Blog Tour, in support of Jaclyn Moriarty's upcoming release A Corner of White. I read and loved Moriarty's Feeling Sorry for Celia and The Year of Secret Assignments back in the day and have been eager to return to her work ever since. In this novel of parallel worlds, I think I may have found my reentry point. Belle Pettifields grew up in Cambridge, England. She is fifteen. Her best friend is Jack Cagnetti. She and Jack are home-schooled with newcomer, Madeleine Tully. She has reservations about Madeleine. Belle can be vague, sharp, grim, and has flashes of temper. She can read auras. Honesty is fiercely important to her. Not long ago, I decided that I should get my aura read. I found a local aura reader. She seemed friendly and calm. Her office was full of crystals and whale song. I started by telling her that I was a writer, and that I was researching for a character who read auras. I was honest: I said I was a bit sceptical myself about the whole aura thing, but also open-minded. As we chatted, the aura reader shuffled tarot cards. She told me she would read my cards and then heal my aura. We chatted and she shuffled. She pointed out objects in her office. Shuffled, shuffled, shuffled. Told me that the aura-healing would only work if my aura was ready to be healed. Shuffled, shuffled. Pointed out the picture of the seagulls on the wall. Shuffled, shuffled. And it was the card for Creative Writing. ‘How about that?’ she exclaimed. Then I remembered all that shuffling, all the pointing things out around the room, distracting my attention. I decided I would not believe a word she had to say. She read my tarot cards and saw that great prosperity was coming my way. I decided I believed in her completely. I’ve been thinking about honesty a lot lately. Kids are honest, aren’t they? It’s wonderful! So refreshing. Just the other morning, I woke up as my six-year-old climbed into my bed. ‘What’s that smell?’ he replied. My heart sank a little. I remembered I’d eaten a lot of garlic the night before. My breath must be terrible. He agreed that was probably it. We smiled at each other. ‘You’ve got a new pimple there,’ he said. Then he began a lecture on the right amount of chocolate to eat. (I mentioned this lecture in an earlier post, I think.) The lecture went on and on. There wasn’t much left of me by the time he was done. He climbed out of my bed. ‘Oh, and your breath stinks!’ he called over his shoulder—a cheerful afterthought—as he headed down the hall to watch tv. And now for the giveaway. As I said, our color is WHITE. One winner will receive this awesome prize pack, including one white Moleskine journal, one white pen, one white coffee mug, and one copy of A Corner of White. To enter, fill out the Rafflecopter. The giveaway will run one week from today (4/8) and is US ONLY. The prizes have been provided by and will be sent to one winner by the publisher and/or tour organizer. Good luck and happy reading! I've only read The Ghosts of Ashbury High, and for some reason I couldn't really get into it. 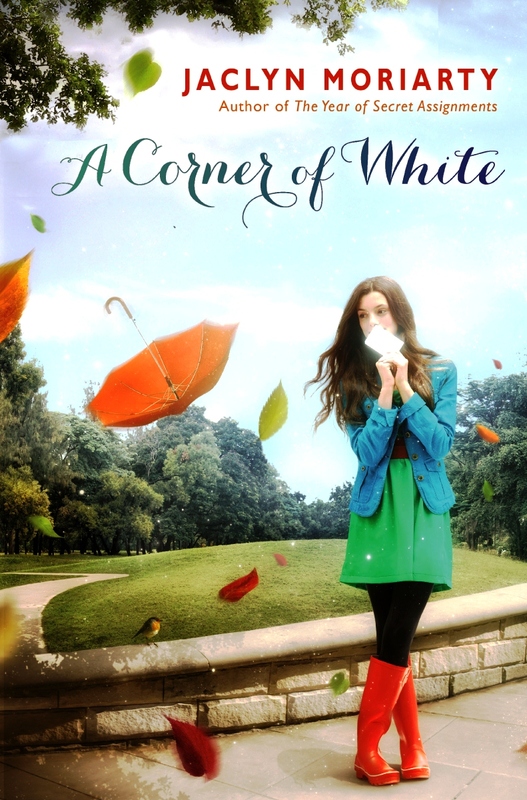 I think it was a it's-not-you-it's-me thing, but A Corner of White sounds intriguing and I'd love to give her work another try. My favorite is Feeling Sorry for Celia. But I liked reading all four books in her Ashbury High series. I have not, but I'm intrigued! I've read her books and my fave is probably The Year of Secret Assignments. There is no one like kids to point out your pimples. 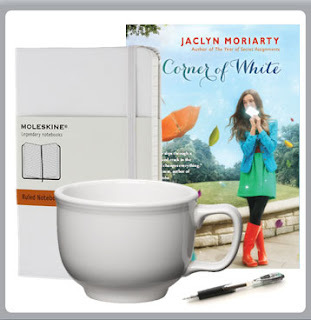 I've read three of Jaclyn's books. My favorite is The Murder of Bindy Mackenzie. She turned an annoying character into a favorite. No, she is a new to me author, love finding them and their books!! Thanks for the chance. Brooker boys forever! :) I just posted my review of Year of Secret Assignments today after rereading it over the weekend. I think that's my favorite, with honorable mention to Feeling Sorry for Celia. Her books are just so fun and clever and original. Can't wait to see what she writes next! I loved all four of the Ashbury High books, and I've been really looking forward to this one. It sounds like such a cool premise. I have never read any. I've read her Ashbury/Brookfield series which I absolutely ADORED. Can't wait to read this one! I read "Feeling Sorry for Celia" and loved it! I'm glad to hear that there is a new book coming soon! Thank you for participating in the giveaway. I've read one of Jacquelyn's books but it's been a while. I've been following this tour and am so curious about the new book. Thanks for the offer! I haven't read any of her books before, but I keep meaning to do so! I haven't read anything by Jacquelyn yet but popped over to Goodreads and saw a promo quote from a favorite (Zusak) so I'd love to read her latest. Thanks!